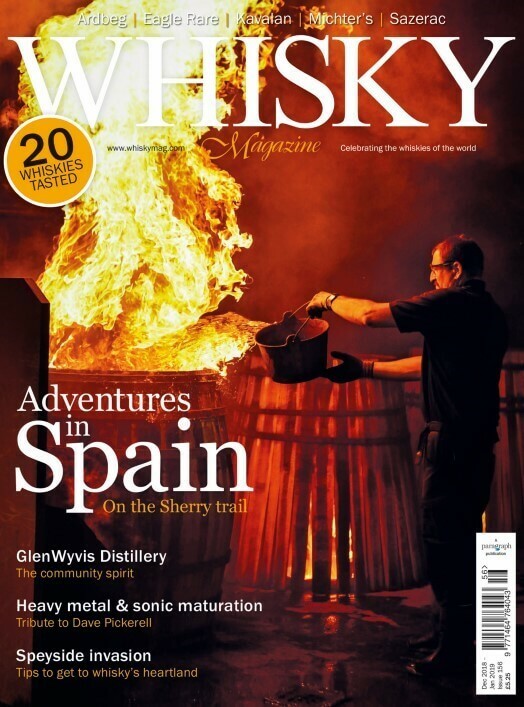 You may or may not know this but our writers often write for other publications outside of whisky, often for illustrious national and international newspapers and magazines, both online and print. The joy of being a writer in this modern age is that there are, if you can cover a broad range of topics, lots of outlets to get creative for. I have often thought, having come up through the ranks of newspaper journalism, that until you specialise down, you are a jack of all trades but a master of none. However there is one thing that runs through this, the desire and ability to tell a story. To take information from a source and create something interesting and engaging for the reader. One story that caught my eye recently was a discussion about decluttering and bringing souvenirs back home, written by our own Liza Weisstuch for the online travel guide, Budget Travel. There seems to be a big drive at the moment, from Marie Kondo through to Scandi design ethics to encourage us declutter our lives. Never a truer word written. In this digital age, with photos and notes (even travel journals) stored in some cloud thingy; what happens if it all disappears? All those selfies and group shots, the food experienced in far flung places, epic cocktails, stunning vistas etc gone in a blink. The analogue equivalent is opening the back of the camera and not realising there is film in there. Actually on that point, what joy there is when you find a film cannister that has not been processed and take it to the developers (they do thankfully still exist). Then the results come back, very fun, forgotten memories brought to life. Anyhow I digress, apologies. So I wanted to put my flag into this debate as well and I have to say I firmly agree with Liza’s point. I too am a collector and lover of tangible things that remind you of moments, walks, trips and those important points in life. I am constantly collecting rocks and stones from beaches, hills and moors when I am out walking or travel to a new place with Whisky Live or for the magazine. So much so that I have jars of them, and yes I can just about remember where they came from. There is a deep joy in finding a piece of smoothed out sea glass, or an odd stone that fits perfectly into the palm of your hand. Also I have a kitchen windowsill that is laden with champagne and prosecco corks. Each with a date and a coin in them for good luck. The practice of placing a coin in a champagne cork has been a long-standing tradition, the corks then have been made into keepsakes and good luck charms by many people. Corks that have been popped on special occasions, those markers of events are often kept; from weddings, birthday parties, or in my case moving house, moving in together, or just a special evening that happened to end in bubbles rather than a dram. It appears the tradition goes beyond marking occasions. They were also once used by fishermen, who would cut a slit in the cork floats on their nets and insert a coin to pay for their catch. So for me this whole thing about throwing anything out that doesn’t bring you joy is a bit of a misnomer. I mean how are you meant to choose between books? For some people its DVDs or CDs, and yes there are some people who don’t watch everything streamed all the time. Ok, so you read or watch something and it just doesn’t do it, so you pass it on or to a charity shop. But the ones you enjoy, that change your world view have to be kept and referred to. When I was looking for a new place a couple of years ago I was surprised by how many houses I saw that didn’t have any books, CDs or DVDs at all. So to Marie Kondo, I am sorry. I like my life and home full of mementos, rocks, books, basses, samples of whisky and lovely furniture.